I bought this Ink Circles pattern, Turtles All The Way Down, at In Stitches in Alexandria, Virginia, while we were there. Since I had finished something else, I decided to start it. 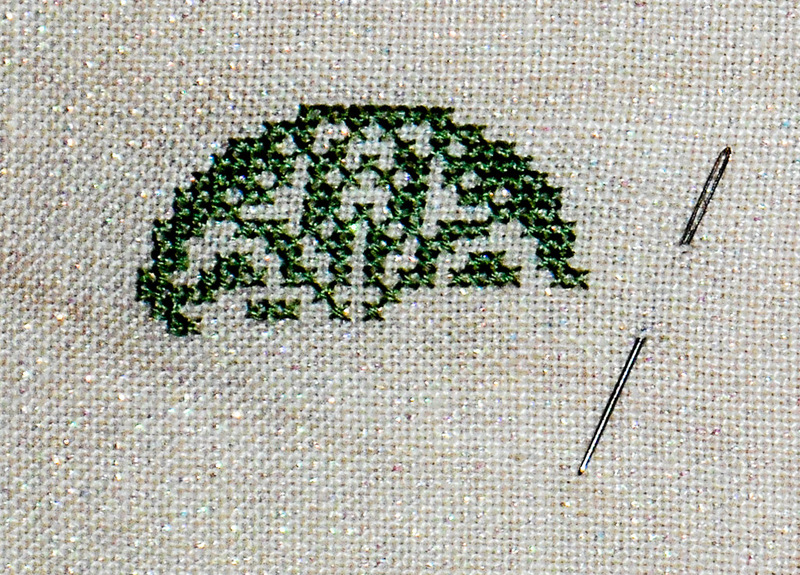 I'm using one strand of thread on 40 count linen.